Mario Tegola, Broker of Record of Re/Max First Choice Realty Ltd., Brokerage is very pleased to announce that Elsie Tommasini has joined his Team of Professional Realtors. Elsie Tommasini has an extensive background in the client service and sales industry. Born and raised in Thunder Bay she has been an avid entrepreneur, property investor and landlord for the past 35 years. She has gained extensive knowledge and insight in providing outstanding customer service by anticipating client needs. She is an excellent communicator and has the ability to engage on all levels. Elsie tremendously values the extensive business and personal relationships she has developed with her clients and she looks forward to working with you on your future real estate needs. She is excited to help first time buyers learn everything they need to know to make a great decision. For more insightful and experienced clients, she can help fine tune their strategies to ensure great success. Every single deal is different and each property is unique and so is each buyer or seller. 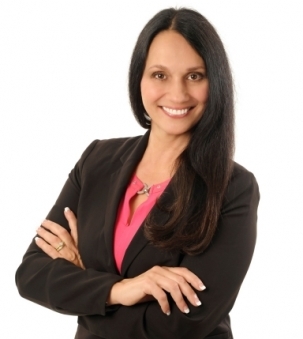 You can rely on her dedication, determination, knowledge and experience to help you achieve your real estate goals. Her commitment to excellence, client satisfaction and combined wealth of knowledge and experience in property renovations makes her an excellent choice when choosing your Real Estate Sales Representative. Don?t hesitate to call or text, whether you?re a first-time buyer, downsizing or upgrading.